The best thing about this book is that the stories are all so different! Yes there's the unifying themes of love and Christmas running through them, but I loved how many variations there were. Some stories had a supernatural or fantastical element and others were more contemporary and this made for a very moreish read. 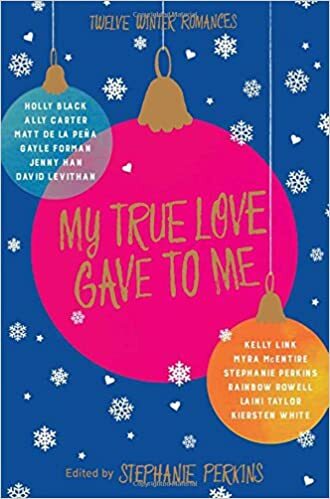 Though there wasn't a bad story in the bunch for me, these were a few of my favourites: 'Midnights' by Rainbow Rowell, 'The Lady and the Fox' by Kelly Link, 'Angels in the Snow' by Matt De La Pena and 'The Girl Who Woke the Dreamer' by Laini Taylor. In these stories in particular, I marveled at how well-developed the characters were in such a few pages. The only problem is that I'd like a whole book dedicated to them! My only regret is that now I've finished I need a break from all things Christmas-related. I'm sure I'll get over it after some Stephen King or Star Wars. This was a really fun read and I will definitely seek out the authors in here that I was previously less familiar with. I missed a week on the blog for two reasons. Firstly, it was my birthday and I was busy crying over Mockingjay Park 2/ wandering around Christmas markets. Secondly, I discovered Raindbow Rowell. 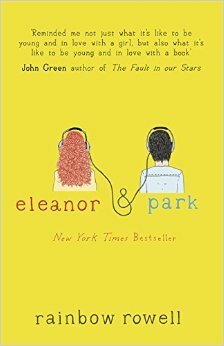 I might be the last YA fan in the world to do this, but I felt compelled to review this book because I loved it so much! Since reading Eleanor and Park, I have inhaled Fangirl and I'm working on Attachments. Rainbow Rowell is officially my new favourite contemporary author. I’ve never read a book that so accurately captures what it’s like to be a teenager and made me so invested in what happened to these characters. Somehow this book weaves together the weird, funny and heart-breaking things that people think and say in a really honest way. On the face of it, the plot sounds quite ordinary. Two people meet on a bus and slowly a relationship grows from tentative roots. Yet the way it was described was just beautiful, showing how the simplest of actions or words can gradually build into a real connection between two people. I'm not always a fan of setting a book in a random time period, as it can feel a bit forced. Even though I only vaguely remember the eighties, there was no moment that I remembered this was written in the 2000s. Everything from the (sometimes dubious) fashion choices to the music and the way people talk felt really authentic and deliberate. I loved this book so much that I felt its absence when I finished. Rainbow Rowell is an amazing author and I plan to read everything she ever writes! I'm sure there are more but I'm off to finish Attachments! I'll add them to the comments if I think of any after my Rainbow Rowell binge read.